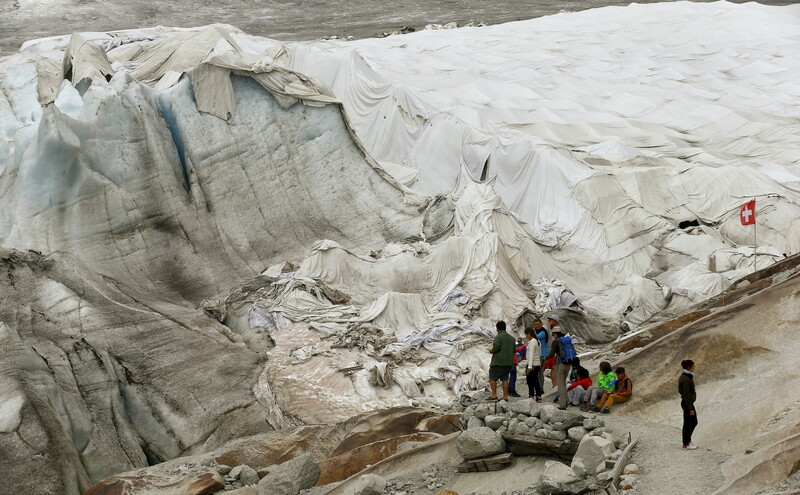 The blankets are used to protect the glaciers from melting due to direct sunlight. Every summer for the last eight years, people who live in the Swiss Alps have been wrapping a beloved glacier in blankets. The white canvas blankets are intended to reflect sunlight off the Rhone Glacier, to try to reduce how much of it disappears each year. And Swiss glaciologist David Volken says it’s probably working; he told Agence France-Presse the blankets may reduce seasonal melting by as much as 70%. 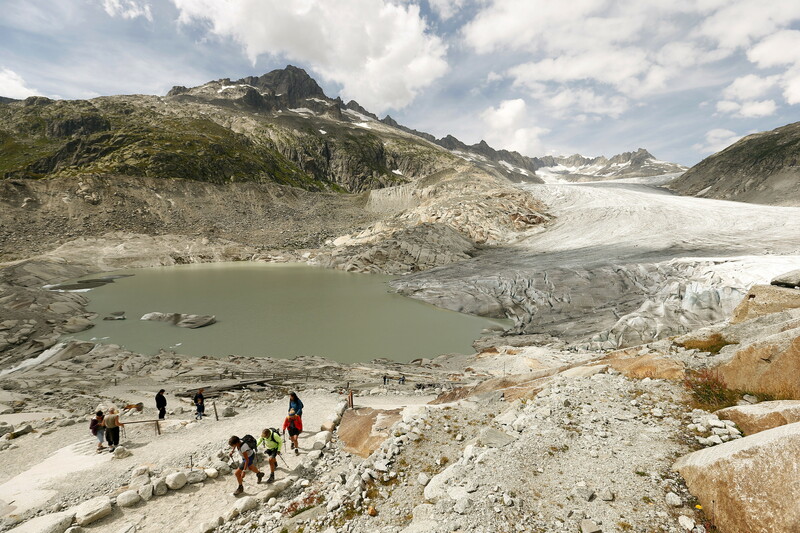 The Rhone Glacier is a popular tourist destination that has been shrinking rapidly over the last decade; of the roughly 1,148 feet (350 meters) in ice thickness lost since 1856, 131 ft has disappeared in the last 10 years alone, according to AFP. Thus the blankets. It’s a rare approach, but not unprecedented, notes E&E News: People swaddle glaciers with reflective material in places in Italy and Germany, and Jason Box, a glaciologist with the Geological Survey of Denmark and Greenland, began advocating for covering sections of the Greenland ice sheet with reflective material as early as 2009. Polar geoengineering ideas aren’t limited to blankets. At the annual meeting of the European Geosciences Union last spring, a research group from Utrecht University proposed blowing artificial snow across Switzerland’s Morteratsch Glacier, to help reflect sunlight, according to E&E News. Others have suggested even larger-scale interventions, like using wind-powered pumps to squirt sea water over Arctic sea ice in winter, prompting thicker (and, they hope, more stable) ice to form, Oceans Deeply reports. Scientists have also floated the idea of building artificial platform-like mounds underwater to prop up particularly vulnerable ice sheets from below. Are glaciers more sensitive to climate change than we thought?